(LITTLE ROCK, AR) - Oak Grove Elementary received $500 from the American Library Association (ALA) to help plan and implement coding activities during Computer Science Education (CS Ed) Week which was held December 3 - 9, 2018. 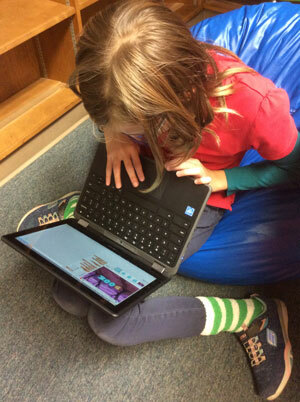 Oak Grove Elementary is one of 250 school and public libraries around the country to receive this microfunding from Libraries Ready to Code, an initiative of the American Library Association sponsored by Google. This micro-grant will allow the library at Oak Grove to provide age-appropriate tools to introduce coding to our students. Library Media Specialist, Dawn Joseph, says early introduction to coding is important and helps each student become more comfortable with the language of programming as well as their ability to express themselves through code. Oak Grove hosted activities based on Google’s free CS First curriculum, which uses video-based instruction to introduce CS to kids through block-based coding. The projects reflect Ready to Code themes critical for advancing youth learning, especially for building computational thinking literacies.